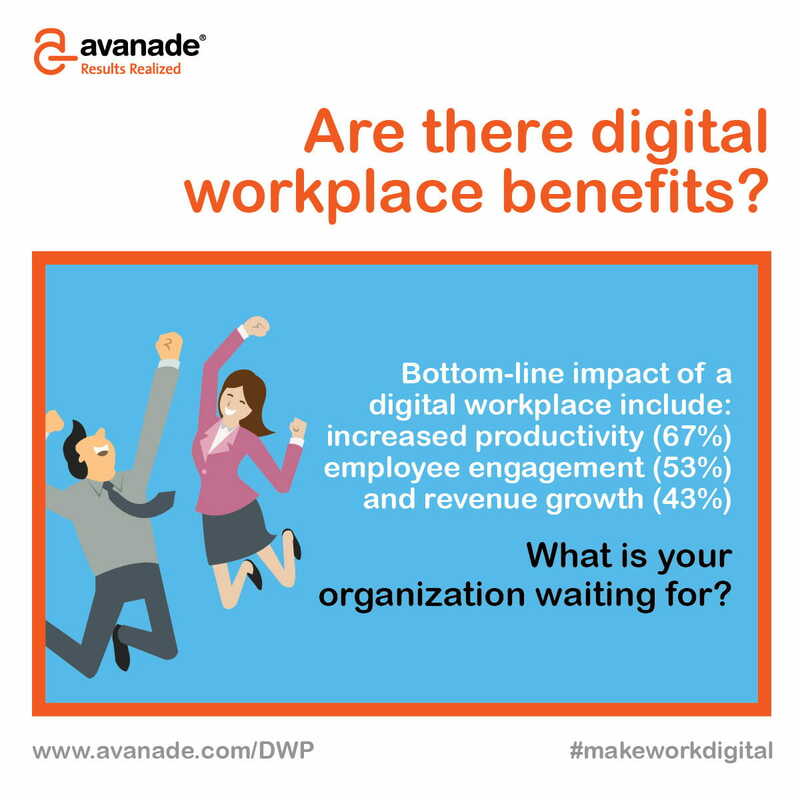 The advantages of a truly digital workplace are clear and compelling: improved productivity, reduced costs, increased innovation. Yet many companies remain confused about what they need to do to realise these benefits. 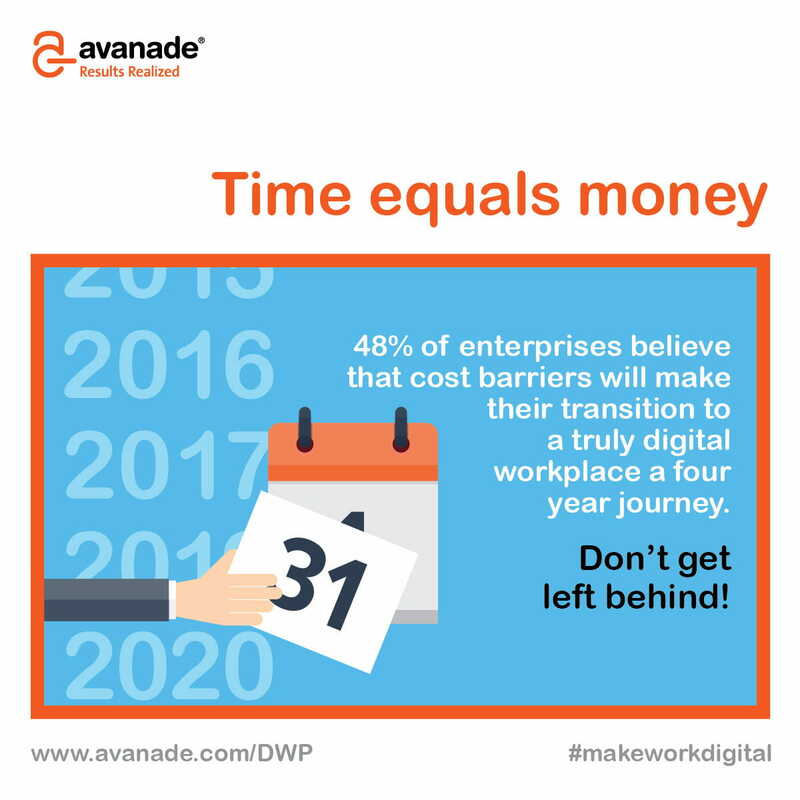 Avanade explores the issues businesses face on the journey to a digital workplace. We surveyed 500 global C-level executives and IT decision-makers across seven countries. 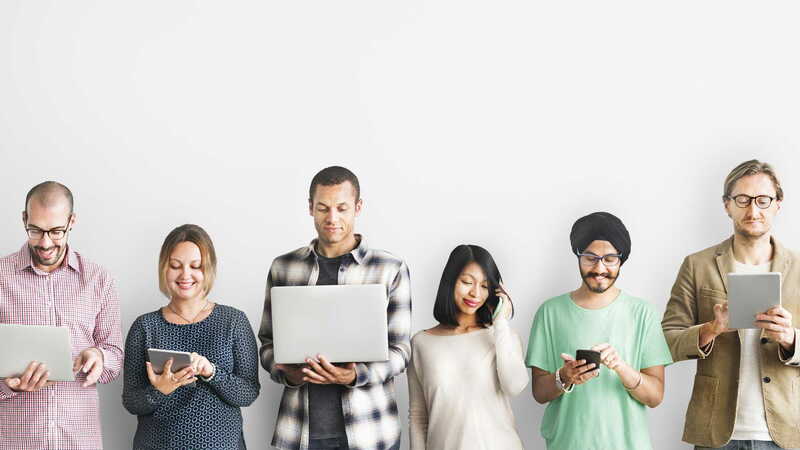 Learn how integrating mobile, cloud, analytics and social tools into your workplace will empower employees to work faster and communicate more easily – anytime, anywhere. Organizations are unprepared for the arrival of the digital workplace. Your digital journey starts here: Our research reveals the myths and facts surrounding digital workplace transformation. 84 percent of respondents incorrectly believe that having email and social media platforms constitutes a digital workplace. 88 percent of companies that have already adopted at least one digital workplace tool are more profitable than competitors that haven’t. 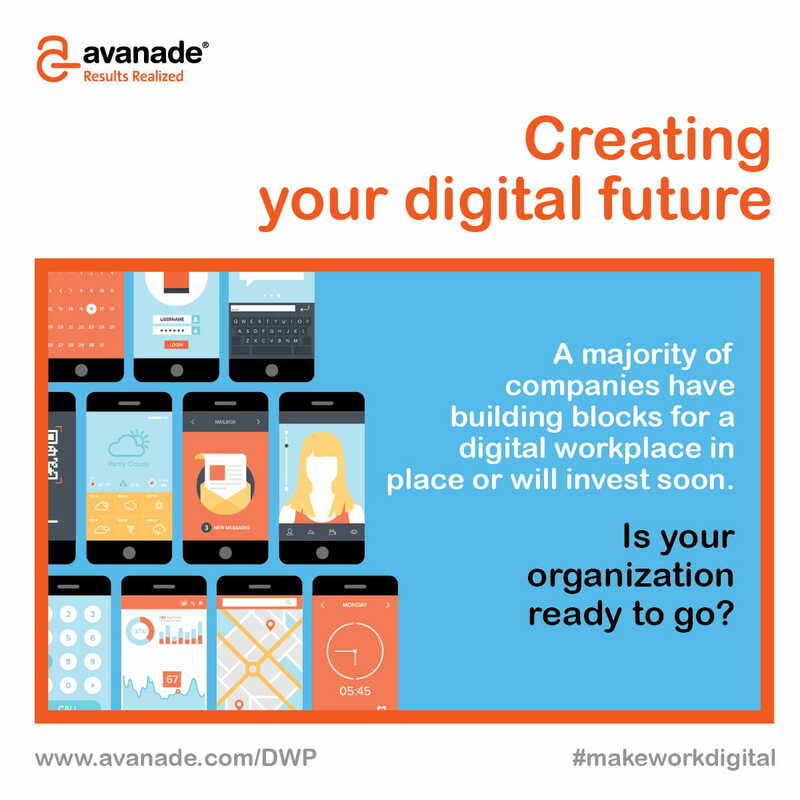 A majority of organizations have digital workplace building blocks in place or are investing soon. 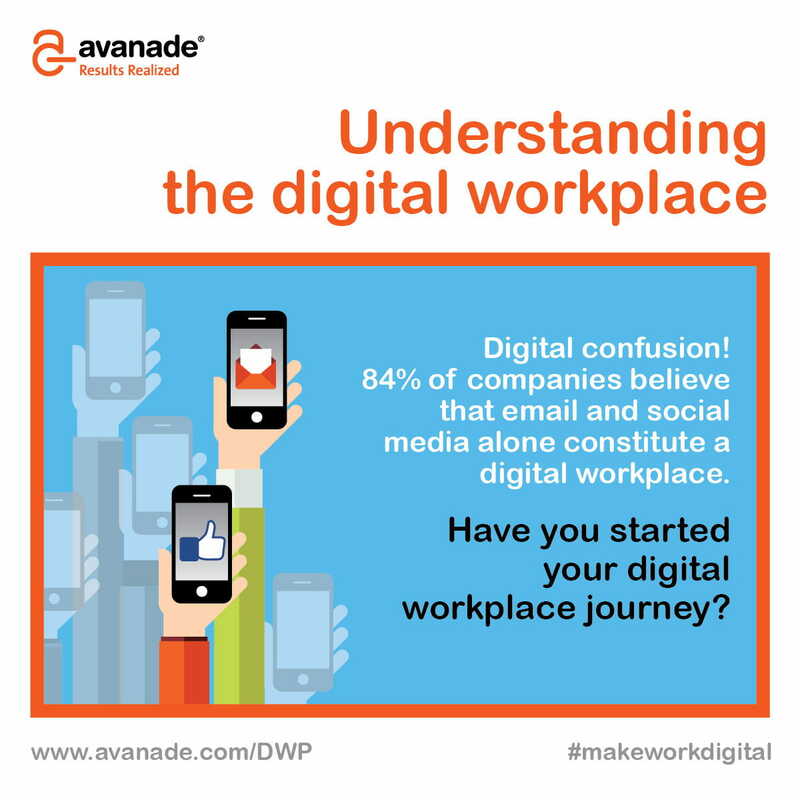 Learn more about how the findings of our digital workplace research apply to your business.